Product #16203 | SKU HFBKHD1 | 0.0 (no ratings yet) Thanks for your rating! The Sony HFBK-HD1 is an optional HD output board that is designed to be installed in the BRC-H700 3-CCD PTZ communications camera. The board permits output of HDTV signals in both analogue and digital domains. 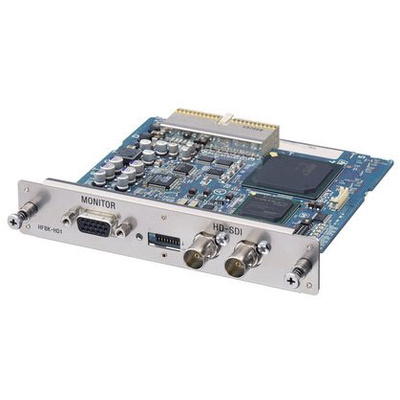 This board has two HD-SDI output and one analogue component output.